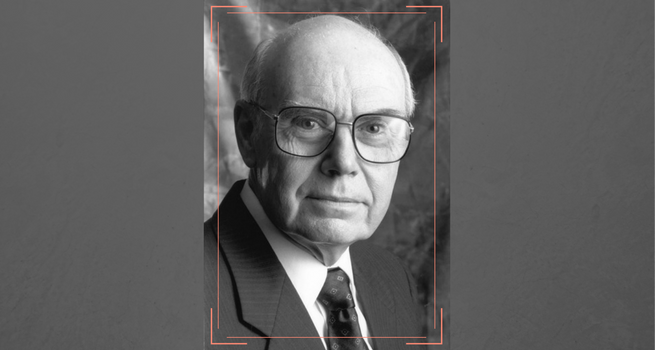 Well known Seventh-day Adventist pastor, educator and administrator W. Richard Lesher passed away in his home in Loma Linda, California on August 18, 2017. Throughout his long ministry career, Lesher served as pastor, educational administrator, teacher of theology, editor of the Sabbath School lesson quarterly, director of the Biblical Research Institute, vice president of the General Conference, and most recently president of Andrews University. Lesher is survived by his wife of 72 years, Veda Lesher, daughter Eileen, daughter Martha (Keough), three grandchildren, and six great grandchildren. Memorial services are planned for both Loma Linda, California and Berrien Springs, Michigan. This story was written by Adventist News Network (ANN) and Adventist Review staff, and was originally published on ANN. It is reprinted here with permission.